February, with its lack of sunlight and chilly temperatures, can be bleak. What better option is there than to escape to somewhere vibrant, rich in culture, and – most importantly – warm? The winter sun getaway is no new concept, but travellers to India in February will find that the subcontinent is at its blossoming best during this month. With ruins and ancient palaces to explore, coastlines to trawl and cities to march through, your holiday can be as relaxed or as action-packed as you like. 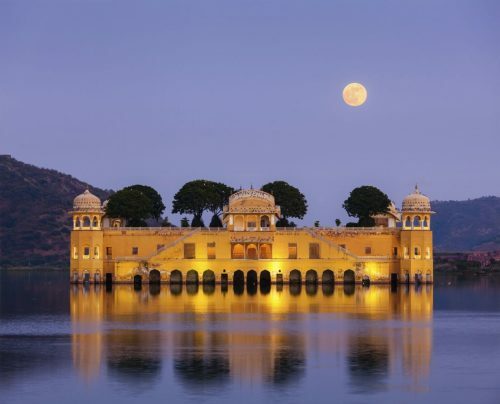 Undoubtedly one of the finest places to begin your February escape is Rajasthan. The subcontinent’s northwestern, desert state is surprisingly chilly during December and January, when mist rolls in and nighttime temperatures plunge. By February, however, things are starting to warm up – though Rajasthan’s famous summertime heat will have yet to hit its high point. Travellers around the world associate Rajasthan with the jewelled splendour of its kings, and of the treasures they left behind. 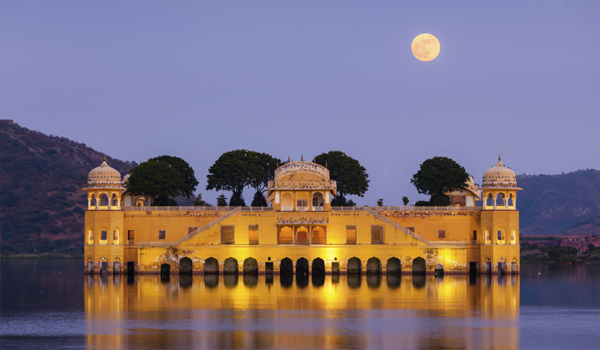 In Udaipur, catch glimpses of grand palaces reflecting off of shimmering Lake Pichola. In Jaipur, the capital of Rajasthan, landmarks like the sprawling Amber Fort and the marvellously ornate Hawa Mathal captivate visitors. 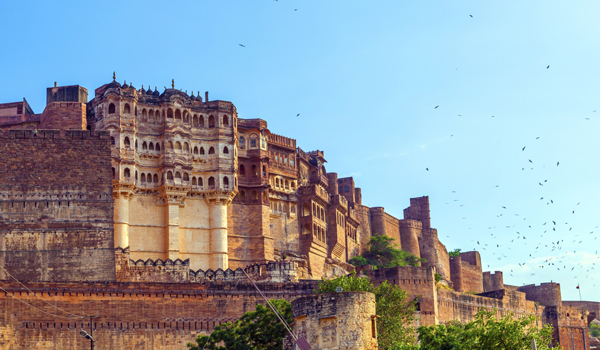 And Jodhpur, known as the Blue City for its many cerulean-hued structures, is dominated by the striking Mehrangarh Fort. 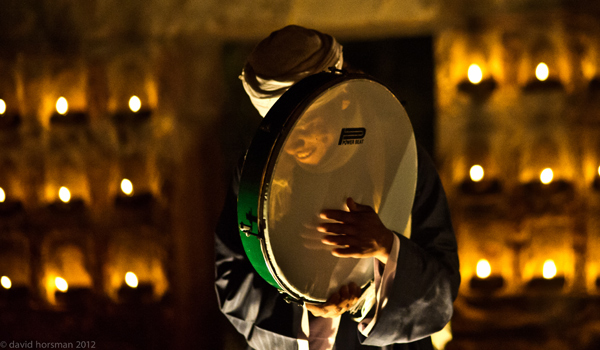 Visitors heading to Rajasthan in February will be greeted with a fantastic surprise: the World Sufi Spirit Festival, an annual event that combines spiritualism with local culture, music, dance, and other performances. Held in Nagaur and Jodhpur from 9-12 February and 13-15 February 2015, respectively, the open-air, nighttime events are lit by thousands of candles, and offer an experience that’s unlike any other. Where to go next? If you’re visiting India in February, turn your sights to the south. Long before the monsoons come, and before oppressive summertime weather sets in, the southern states are balmy and sultry: offering sun, Ayurvedic retreats, and farms full of exotic crops like cardamom, coffee, and coconuts. 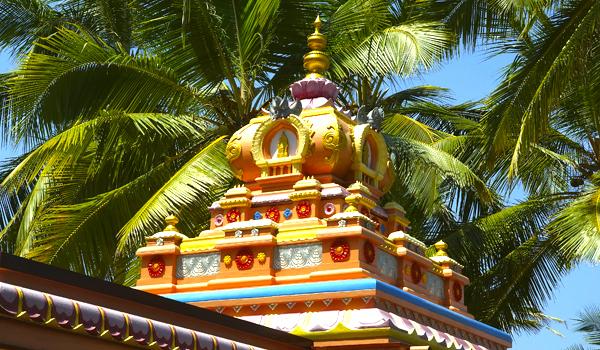 Kerala is known for its many wellness resorts, which aim to detach visitors from their hectic lifestyles. Neighbouring Tamil Nadu, meanwhile, offers a wealth of temples, ruins, and other landmarks for travellers interested in culture and history. And for those seeking a truly tropical, memorable winter sun getaway, there’s nowhere quite as luxurious and restorative as the Maldives. You already know you’ll be in for white sand beaches, azure waters, and high-end resorts that feel far away from the stress of home. 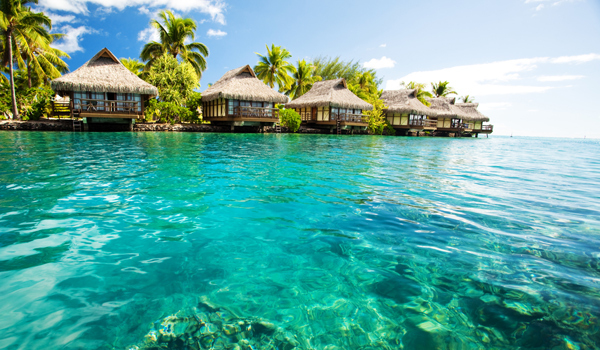 But visitors to the Maldives can also indulge in luxury yoga classes, deserted island hopping, speedboat rides, and other aquatic sports. Beyond the marine frolicking, there are also cultural sights aplenty – from the National Museum, which contains a wide collection of local artefacts, to the island chain’s ancient mosques and lively marketplaces. February at home promises a dreary stretch of gloomy weather, but in India there’s no shortage of places to go and incredible sights to see. Now’s the time to plan your next idyllic winter sun retreat – before daylight savings sets in.